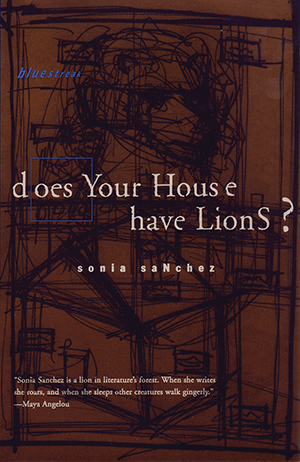 Beacon Press: Does Your House Have Lions? Listen to Sonia Sanchez's appearance on the Tavis Smiley Show (February 5, 2010). Included on the site: a web extra of Sonia Sanchez reading haikus for Maya Angelou and drummer Max Roach.